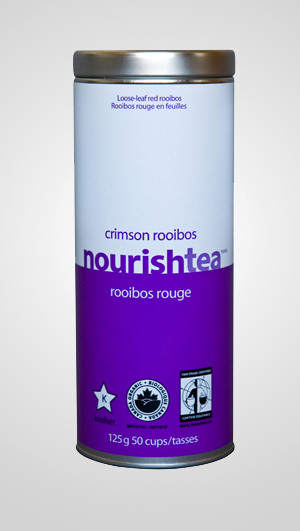 Rooibos grows within the Cedarburg Mountains of South Africa. It’s caffeine free, low in tannins and bursting with anti-oxidants. The unpolluted waters, mountain air and rich soils of the region, gives it an earthy tone – and you can even pick up a hint of vanilla. Intrigued yet? Try this beautiful treat and you’ll see why red rooibos is a fave of tea drinkers across North America.